Begin by gathering your ingredients. Mix the cake mix, egg whites, water and oil until the batter is smooth. 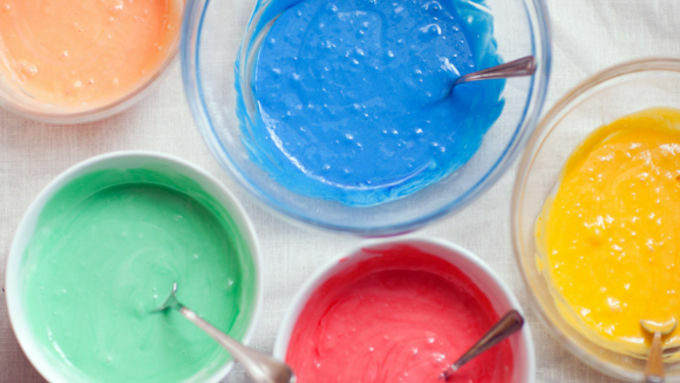 Divide 3/4 cup of the cake batter into five bowls and add food coloring gel (red, orange, yellow, green and blue) to each. Divide any remaining batter equally into the bowls. 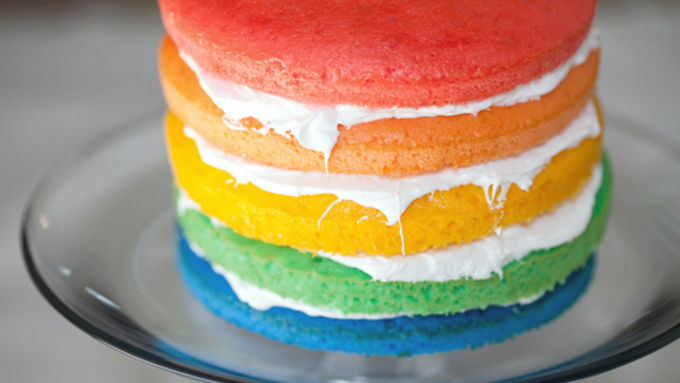 Bake each layer individually in a 6” round cake pan for 12 minutes. After baking (and cooling), stack each layer, starting with blue, adding a nice amount of fluffy white frosting in between. 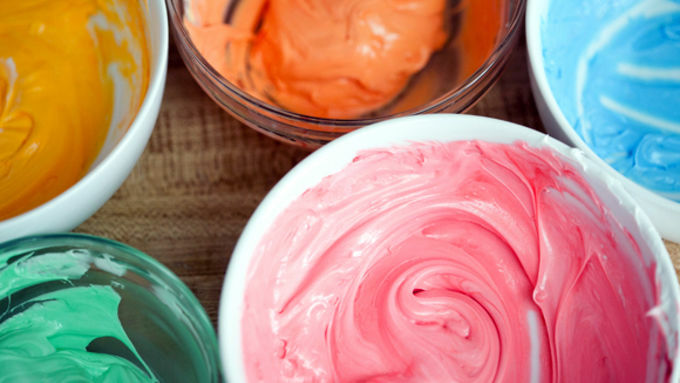 Divide the frosting into five bowls and add food coloring gel to each of them. 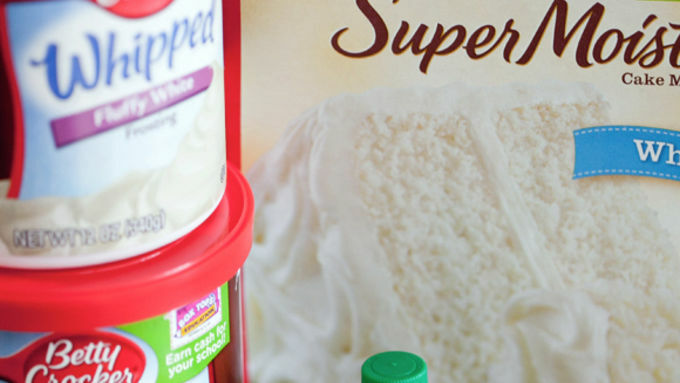 Make sure to add a little more frosting in the bowl with red coloring, since you will be using red to cover the top of the cake. Fill a decorating bag with the blue frosting. Using a large tip, start at the bottom of the cake and create circles around the entire bottom of the cake. Then repeat using a fresh decorating bag for each remaining colors. Have you noticed our obsession with rainbows (and double rainbows!)? I can’t get enough of the rainbow trend. It’s a throwback to the 60s and 70s, and not only popular in fashion, but also in food! 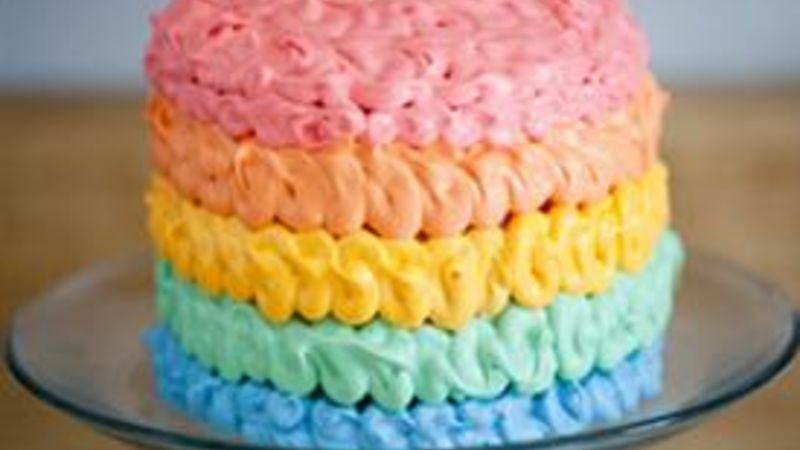 How about a Vanilla Rainbow Cake inspired by the ombre cakes from the era!? The layered colors stand out and really catch your eye. 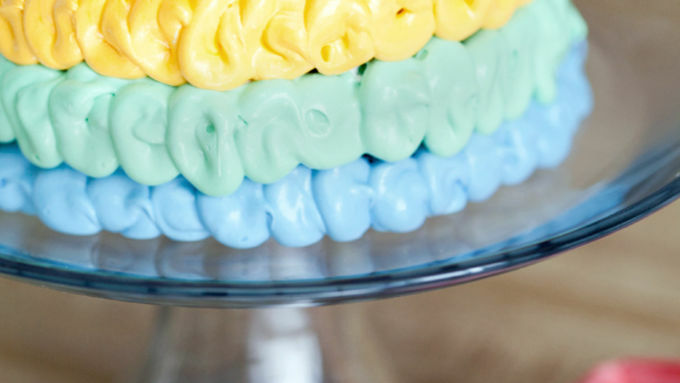 Match the cake to the color scheme of your party and it adds an artistic touch to the dessert table. 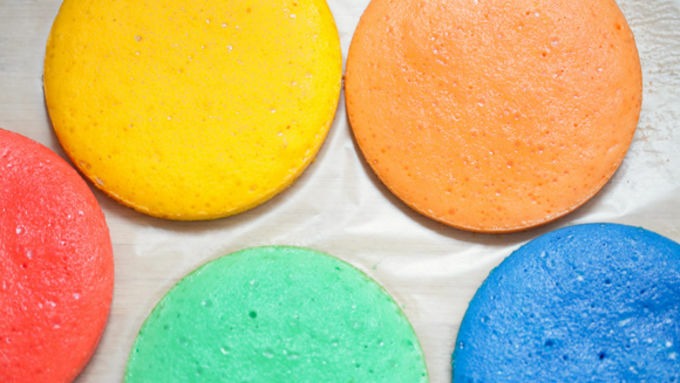 I decided to try my hand at making a rainbow cake with five shades of the rainbow. The layers look so festive and colorful stacked together. You almost feel bad eating it because it’s so pretty!